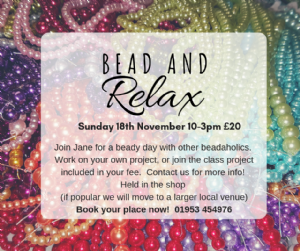 Bead and Relax day – join us on the our bead and relax day from 10-3pm. 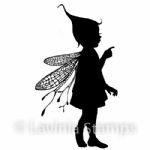 Your £20 fee includes materials for your workshops project (contact us for details of the next project). 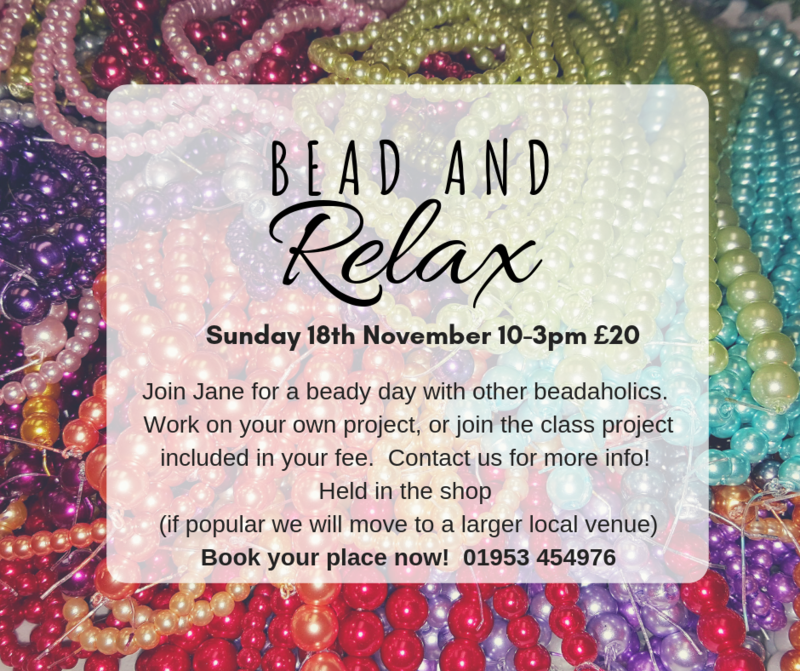 You can come and join in with the project, or bring something of your own and just have a beady get-together with other beaders. 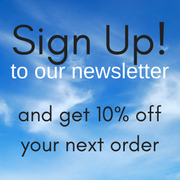 This will be held in the shop – pre-booking essential as if we have enough interest we will move it to a bigger venue!